Parfumul prezinta note citrice, note fructate, iasomie, ambra si paciuli. Parfum concentrat de baza de ulei, nu contine alcool, confera persistenta indelungata; sticluta este prevazuta in interior cu un betisor de sticla pentru o aplicare cat mai usoara. A fruity & citrus fresh fragrance with gentle bitter overtones. 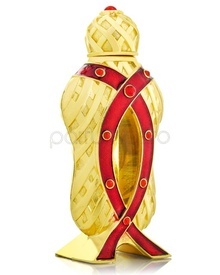 A concentrated perfume oil for daily wear. 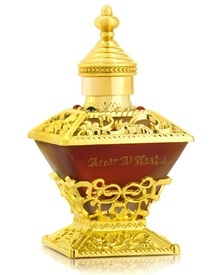 One world is not enough to enjot the pleasure of Faris, a perfume that majestically sweeps you off your feet like a knight, and carries you on a voyage to discover place you've never been. Like the pineapple forest, the cedar wood deep, the patchouli planet and the amber way galaxy. 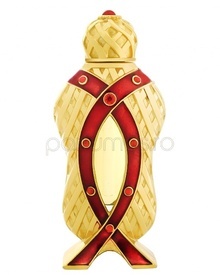 Faris blends the best of the fruity, woody, floral and animalic worlds all into one lustrous fragrance. Enjoy sweet-smelling discoveries every day. Un parfum foarte dragut! vesel, usor de purtat..